European Union – A flawed foundation, but a brilliant strategy? After a decade long trial period it is now time to pay the price for Monetary Union. I suspect that the EU membership is unwilling to do so. Though they likely will see the price as too high to do so, the price to not do so has become even greater. They have unwittingly been trapped by a well crafted strategy. Never has a monetary union functioned without a political union with which to control Fiscal Policy. This was well understood by the strategists but not the salivating sovereign leaders looking for cheaper money to finance election candy and avoid unpopular, pressing economic realities. It was expected that the obstacle of political union would inevitably give way when the pre-ordained and unavoidable political crisis forced the issue. We are presently at the cusp of this crisis in Europe. As we just experienced the Arab Spring we are about the experience the European Summer on an unavoidable path to the American Autumn and World Winter in an unfolding “Age of Rage’. The initial resolution of sovereign debt defaults by the bailouts of Greece, Italy, Ireland, Portugal, Spain (GIIPS) will eventually be the creation of a Eurobond, in my measured opinion. It is the next move on the strategic chessboard being carefully orchestrated. A Eurobond will allow the ECB to issue debt. With the ability to issue that debt, the obligatory abilities to pay for it will come. Paying for a Eurobond will mean giving up gradually increasing levels of sovereign taxation. The current political impediment to political union is that never has a ruling political regime been willing to surrender the golden jewels, specifically public taxation. But this will happen because it is the hidden strategic goal now operating in Europe. To understand the real European Strategy you need to appreciate the history of Europe and its cultural diversity. Ever since the Roman Empire and Charlemagne, leaders have dreamed of a single Europe. No one in modern times from Napoleon to Hitler has been successful. 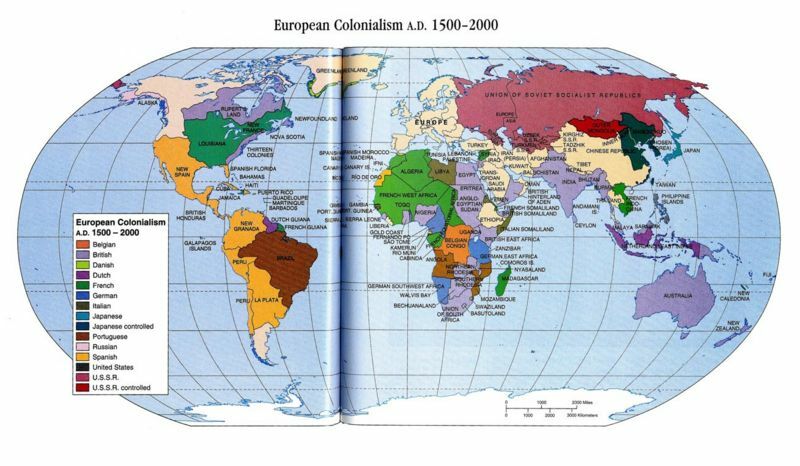 The one thing the European nations understand and for a time were successful at, was Mercantile Colonialism. They were the ones that invented it. When I say ‘they’, I refer to Kings and their financiers. The Kings may now be gone, but the financiers are even more powerful today than ever before. 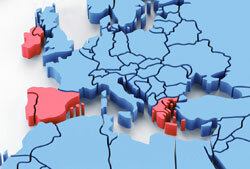 The colonies are no longer on the other side of foreign seas to be conquered, but rather part of the Euro zone. The essence of Mercantile Colonialism is to create a need for debt, then finance that debt and eventually exchange that debt for the collateral assets that are the underlying wealth producing assets. In the Austrian School of Economics, this exchange of printed paper for real assets, is called the Indirect Exchange. It is well understood and well documented but like usury is avoided in polite conversation. Eventually the colonies worked as slaves to pay the debt to their European masters. The European banks are slowly but surely, through a tactic of Financial Arbitrage, moving more and more sovereign debt to the ECB and EU. Someone must pay for this debt and that will eventually be the entire European taxpayer base. That is the goal.In the initial stages of the Euro dream everyone was benefiting. Like an initial user of drugs the early stage is euphoric before the issues associated with the addiction surface. This stage fostered tremendous growth in debt – never ending Corniche housing villas in Spain and Portugal, embarrassing pensions and social benefits in Greece, tax advantages for off shoring corporations in Ireland or unjustifiable and hidden local government spending in Italy. It has been a captive market for the Asian Mercantile Strategy and a financial retail market boon for US financial instruments created from the never ending supply of freshly minted US fiat paper. I was living in Europe during the debates on the viability of a European Union. I remember only too well what everyone eagerly wanted and fantasized gaining from a European Union. 1. They saw and wanted employment. The EU meant they could go anywhere the jobs were. 3. It meant cheaper cost of financing because of a single currency with as Germany the ‘anchoring credit’. 1. To the sovereign governments it meant cheaper debt since they effectively received German Mark backed debt. Like free liquor to an alcoholic or free drugs to an addict, the politicians couldn’t sign up fast enough as long as they kept sovereignty over precious taxation. 2. To make the deal happen, countries were allowed to maintain fiscal sovereignty, though everyone quietly understood that separated Monetary and Fiscal Policy was a flawed concept and eventually would doom anyone attempting it. 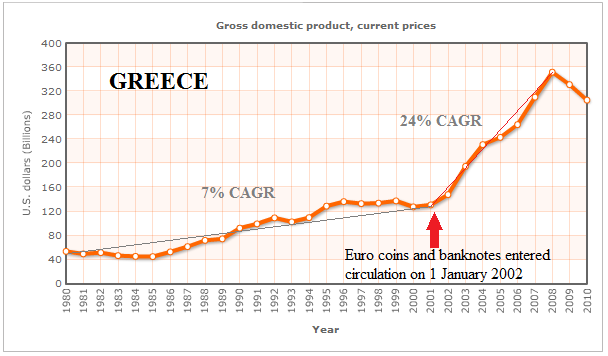 Government spending and brazen consumption masquerading as GDP started exactly with the retail launch of the Euro. Hmmm… the words mortgage and foreclosure figure prominently. Not surprising since the conference is titled: “Conference on Mortgage Foreclosures and the Future of Housing.” I see the word crisis, at least he will ackowledge that much. However, I don’t see the words “possible systemic fraud” anywhere, do you? I don’t see the words “accountability,” “purge” or “confidence” either. MORE… HOPE NOW, feel better?